Alabama Fertility has recently partnered with Fairfax EggBank to offer its patients the option to use frozen donor eggs. Fairfax EggBank, a national donor egg bank that has been in operation since 2006, significantly expands the choices that patients have when choosing an egg donor. Frozen donor eggs offer many other advantages for recipients. Below is a summary comparing the benefits of frozen donor eggs to those of fresh donor eggs. 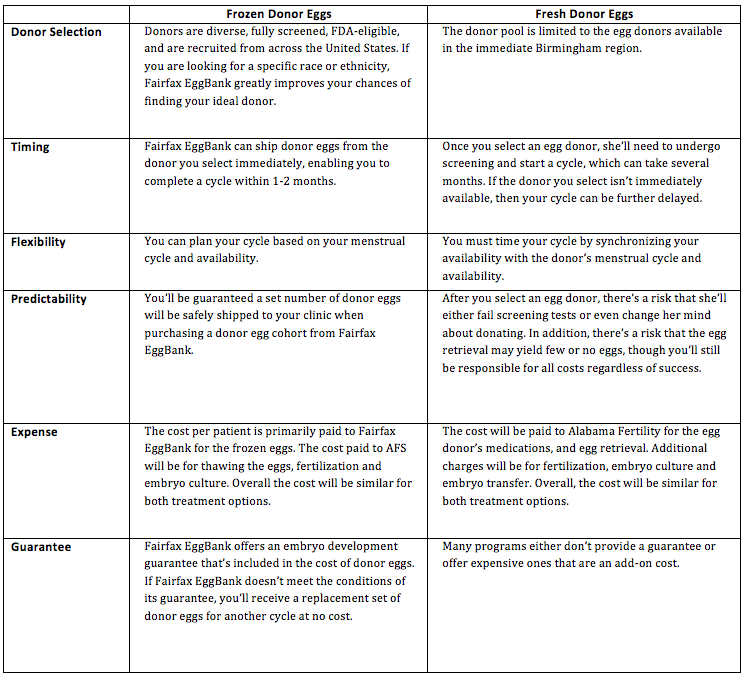 As you can see, frozen donor eggs offer many advantages and provide recipients with greater control over their cycle. With that said, frozen donor eggs aren’t for everyone. When purchasing eggs from a donor egg bank, you feel comfort knowing that you’ll have a certain number of eggs to use for your cycle. However, if a fresh donor egg cycle goes well, then you may receive more eggs than what you would receive through frozen donor eggs. 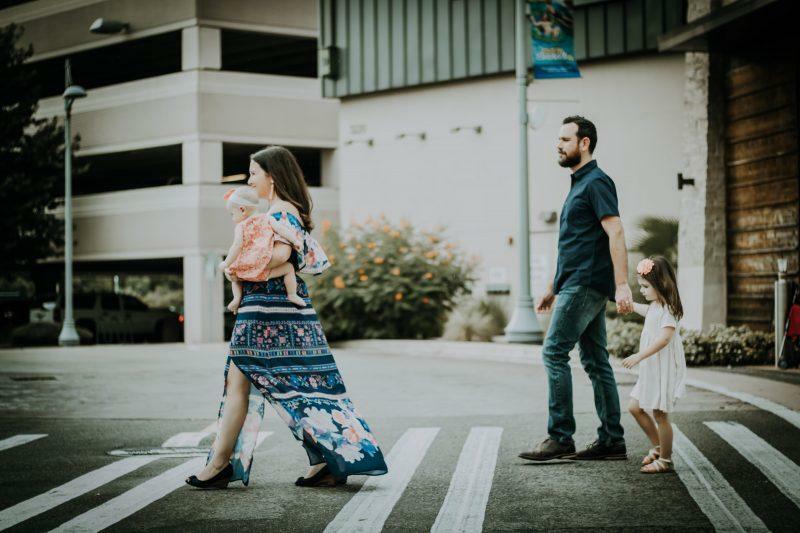 Therefore, if you’re looking to build a large family and prefer a large number of embryos to use through subsequent frozen embryo transfers, then fresh donor eggs may be a more economical choice. We encourage you to consult with our team as you navigate your decision to use frozen or fresh donor eggs. To learn more or to talk to a donor egg coordinator, call Alabama Fertility at (205) 874-0000. To view Fairfax Eggbank’s donor profiles, click here. To contact Fairfax EggBank, visit the website or call (888) 352-5577.